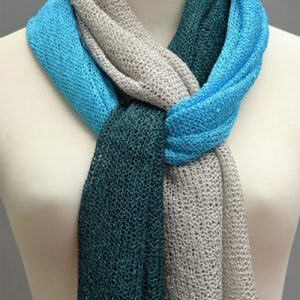 This woven scarf by L Fabrika feels good in any season and the gradient colors blend beautifully. It’s very gentle on the skin, keeping you cool in the heat and a nice layer of warmth in the winter. Made of rayon, it comes in a mix of colors. Slate grey/blue, antique lilac/cream, grey/burnt orange/rust, purple/teal.